The EURUSD is staying the same after the ECB decision to keep its monetary stance unchanged. 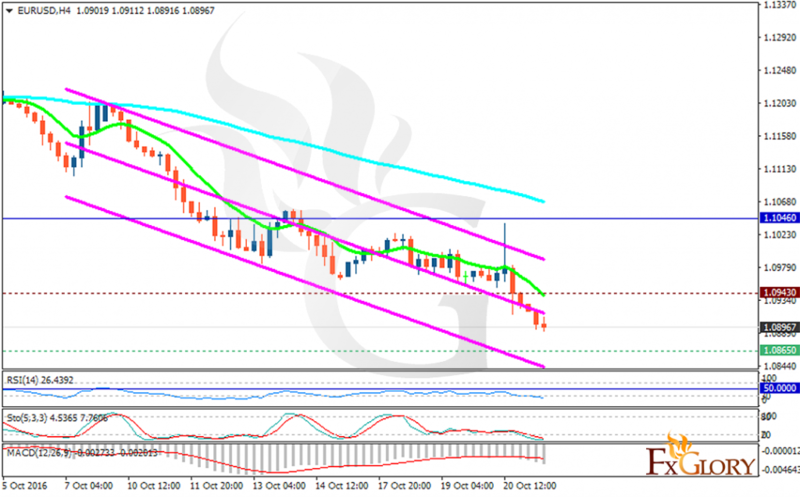 The support rests at 1.08650 with resistance at 1.09430 which both lines are below the weekly pivot point at 1.10460. The EMA of 10 is moving with bearish bias and it is located below the EMA of 100. The RSI is moving below the 50 level in the oversold area, the Stochastic is moving horizontally in low ranges and the MACD indicator is in negative territory. There will be a short term correction pattern around 1.1000 area soon.